At JW Marriott Nashville, we pride ourselves on staying plugged-in. From honky tanks to concert halls, there's always something fun happening here. Check our regularly updated blog for the inside track on all the events, openings, and all-round excitement that keep our capital city buzzing. 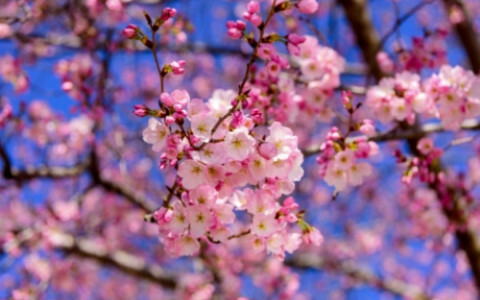 Commemorate Spring with the 11th-Annual Nashville Cherry Blossom Festival, a free event that celebrates Japanese culture and the beauty of the season. The festival is known for its special events, the most popular easily the Cherry Blossom Walk. This two and a half mile course tours the best trees in the city with Consul-General of Japan Hiroyuki Kobayashi and Mayor of Nashville David Briley. After the walk, get dressed in your flashiest costume and enter to win the 2019 Cosplay Contest, featuring the best in Japanese fan art. Your pet can join the fun too with the Pups In Pink Parade. Show off your pet and get the chance to assist with adoption by raising funds for the Nashville Humane Association. Be sure to find time to challenge your friends and family to a SUMO match! For only $5 per match, you’ll be fitted for a padded SUMO suit and (hopefully) be the last one standing. For details, check out their website. For an interesting excursion you’re sure to write home about, stop by the 17th Annual “An Affair of the Hat” festival on March 28th. “Hat Season” is a big deal in the Music City and this event goes into overdrive in celebration of this fact, inviting milliners from Paris, Melbourne, Milan, Los Angeles, and all of the famous high-fashion towns to debut this year’s newest hat trends. An extensive array of hats at a multitude of price points are available for purchase for both men and women, with the designers on hand to answer any questions you may have about their artistic process and style. 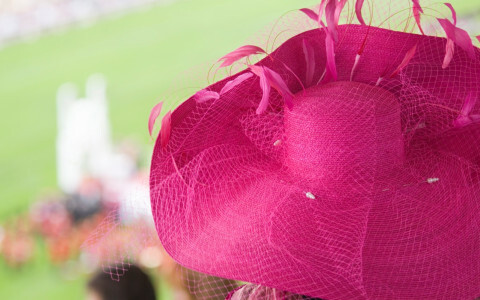 Most of the vendors are there to help you find the best hat for the quickly approaching Iroquois Steeplechase and Kentucky Derby where hats are the only fashion statement one should be concerned with. Women and men alike are encouraged to bring their Steeplechase and Derby suits and dresses so that the milliners may design a custom hat for you onsite. Proceeds benefit the TJ Martell Foundation until the Derby Day. We believe that a Music City experience should always feature a heavy dose of tranquility. Find the most peaceful version of yourself at our full-service, on-site spa and let our wellness professionals introduce you to the perfect set of personalized treatments. Try our Winter Spa Experience services and unwind with seasonal favorites like renewal facials, hydration treatments, peppermint massages, and manicure/pedicures. Peruse our menu of revitalizing packages and services online. For an elevated wellness experience, make your reservation for Saturday Morning Yoga by the Spa by JW and our friends at City Fit Concierge. RSVP by Fridays at 3:00 p.m. and spend the following morning immersed in a calming dynamic of holistic self-care and refreshing fitness practices. Are you a frequent guest at our hotel? Then save while you promote your personal care with a Yoga Flow Membership and claim benefits and rewards like dining and accommodation discounts, VIP brunch passes, and more. Start your journey of wellness today! You know Nashville as the Music City, a legendary town built upon the living, breathing history, atmosphere, and culture of some of the country's best music. But did you know that Nashville is also one of the most romantic places in the United States, catering to both the dreamy and fantastical, offering unique ways to celebrate Valentine’s Day for every couple? We’ve gathered some of our favorites for you here. What’s an epic romance without a little adventure? Take your love on the trip of a lifetime with a gentle hot air balloon ride over our majestic city. Select a private ride package with just enough room for you and the one you love and choose between a sunset or sunrise ride. Check out their add-ons and extras like limos and meal packages to make your experience that much more special: www.nashvilleballoon.com/. The show that originally started in 1925 as a small radio show is now one of the premier attractions in Nashville, drawing millions of visitors a year from all over the world. Reintroduce yourself and your sweetheart to the energy of live country music in the place that made the genre famous with all of today’s favorite country artists: www.opry.com. We consider ourselves true romantics in everything from our breathtaking views of the Music City to our Valentine’s Day-themed sugar cookies at the Stompin’ Grounds Market. Elevate your romance further with the finest in guest accommodations and dining at Bourbon Steak by Michael Mina. Treat yourself and the one you love to true elegance. Elevate your New Year’s Eve celebration thirty-four floors above Music City at Bourbon Steak, the first and only Michael Mina restaurant in Nashville. Michelin-Starred Chef Mina’s cuisine is artfully-crafted from the finest seasonal ingredients and is sure to delight our 2018 New Year’s Eve guests with a choice of a 3-course or 5-course pre-fixe dining experience. View full menus here: 3-course, 5-course. For those wanting to skip straight to the festivities, we invite you to our luxurious black-tie ball where light fare will be provided, including signature hors d-oeuvres, canapés, and delicious desserts, the perfect way to usher in an exciting new year. 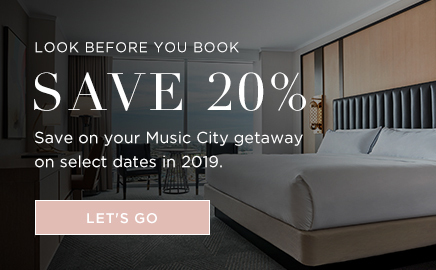 Let the panoramic views of downtown Nashville add a level of luxury to your New Year that you were looking for. Give the DJ your request, join the dance floor, and raise your glass to the very best that Music City has to offer at JW Marriott Nashville. RSVP here to reserve your spot. As exciting as travel during the holiday season can be, there can also be a lack of annual tradition and uncertainty about how to celebrate, especially for guests who yearn to have the best of both worlds. At our hotel, you don’t have to choose. We strive to create experiences that speak to personal tradition and exemplify the luxury Nashville has to offer. Join us on Thanksgiving Day from 12 p.m. to 10 p.m. for a holiday feast prepared by our culinary experts at Stompin’ Grounds, open to our guests as well as our fellow Nashvillians (this dining special is also offered at Cumberland Bar featuring multiple HD flatscreen TVs for football-lovers). Guests can savor a decadent meal of tender deep-fried turkey and giblet gravy, fluffy Cumberland sausage cornbread stuffing, crushed root vegetables, succulent green beans, cranberry chutney, and flakey seasonal pie for just $24 per person. Our Nashville neighbors are invited to enjoy our gourmet menu in their home at $144 for a party of six or $24 per person for a customized party size. Our Thanksgiving meals are our chef's delight and tend to fill up quickly. Reservations for guests and locals are highly recommended via OpenTable or by calling us at 615.291.8450. Bon appétit! Autumn has arrived meaning that the Music City is dizzy with thrills and chills for the Halloween season. We’ve gathered the most anticipated events of the season to make the adventure one that will stay with you forever. Raise your beer stein to the 39th Annual Nashville Oktoberfest, October 11th-14th in Nashville’s historic Germantown, just a short stroll from our hotel. Enjoy a weekend of German cuisine, beer, and live entertainment. The Dachshund Derby, Beer Slide Championship, and the Oktoberfest Parade are not to be missed. Though this ambitious festival is only three-years-old, it has quickly become a nationally recognized event attracting thousands of visitors to our city. On October 20th, the chic westside of Nashville erupts in a carnival-style celebration with live musicians and performances from the Beyond Wings Circus. Mark your calendar to experience the expansive marketplace, local art exhibits, and food vendors. What could be more relaxing than taking a dip in our heated rooftop pool? Take your vacation to the next level with a much-needed day of fun in the sun. Temperatures may be dropping in other parts of the country, but in Nashville, it still feels like summer. Swimming has many added health benefits such as mood enhancement, cardiovascular health, and it's been proven to relieve stress. Here at JW Marriott, we aim to imbue every moment of your trip with warm Southern hospitality, that's why private cabanas are available for rent. Imagine spending the day, nestled in your secluded cabana, ice-cold drink in your hand, and a menu of seasonally inspired dishes such as Strawberry and Baby Spinach Salad, Coconut Shrimp Summer Roll, and The Cabana Club Sandwich at your disposal. Whether you are visiting us for work or leisure, carve out some time to take in the panoramic views and catch some rays. When temperatures are soaring, there is only one way to cool off. Ice cream is loved by everyone and parlors are providing a plethora of options to please their customers. We've rounded up our top three spots for scoops of every kind. These dairy-free treats will amaze you. They are flavorful, smooth, and crazy delicious. Open since 1939, this old-fashioned ice cream parlor knows how to make the best milkshakes in town. The charming, colorful exterior matches the way your heart will swoon when you taste their ice cream, shakes, and burgers. But it’s the retro-style that will transport you to the 1950's. Relax on the porch and indulge in quirky flavors like Trailer Trash and Movie Star. It’s eclectic, quaint, and downright indulgent. You cannot the deny the alluring charm of Nashville. Whether you love music, the arts, food, history, or just laid-back conversation, there is something for everyone. A perfect day involves the right combination of planning and spontaneity. Pick a couple of attractions such as visiting the themed gardens of Cheekwood Botanical Garden or catching a laser light show at Adventure Science Center Sudekum Planetarium. 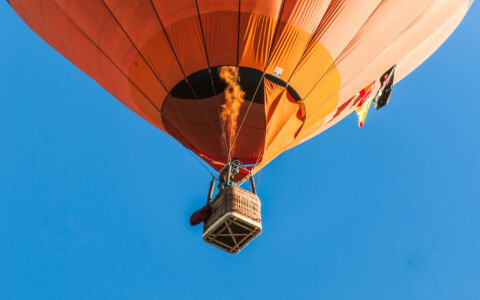 If you’re feeling adventurous book a hot air balloon ride for sweeping views of Middle Nashville. Explore The Gulch, our city’s newest epicenter of upscale cool with trendsetting restaurants, indie boutiques, and urban running paths. However, it’s always fun to step back in time with a visit to Belle Meade Plantation. Even if you are visiting for a conference or work, don’t forget to stop and smell the flowers. Our southern charm is irresistible--soon you’ll be feeling relaxed and effortless, just like us. Celebrate Fourth of July in the heart of the south by enjoying what Nashville does best, music. The Music City is the perfect place to honor your patriotism while listening to incredible bands in what is considered to be one of the biggest celebrations in the country. This year, the unbelievable country-pop trio Lady Antebellum is headlining "Let Freedom Sing' the free concert in downtown. Too good to be true? We like to think of Nashville as the type of city where you can genuinely feel the American spirit and on the Fourth of July, America gives back. The concert will also feature the talents of Chris Janson, Lucie Silvas, and Shannon Sanders. But its the 30-minute firework display synchronized to the live performance of the Nashville Symphony that is exciting us. Plus there is no better place to watch fireworks than from Nashville’s magnificent downtown riverfront. For more information, please click here. Visiting for the weekend? Glam up your Instagram feed by snapping stunning photos in the Music City. Nashville seems to be singing this spring with picture-perfect landscapes and majestic architectural silhouettes. It's a photographers playground. Start at Three Brothers Coffee for a jolt of caffeine and irresistible photo ops in the outdoor alley. Then head to the I Believe in Nashville mural on 12th ave, for a moment of all-American pride--easily the most photographed spot in our eclectic town. Pop over to Amelia’s Outdoor Flower Truck to stop and smell the roses. The quaint tin buckets holding colorful bouquets create drool-worthy backgrounds for the perfect spring photos. Last but not least, add a little flair to your gram with Nashville’s full-scale replica of the Parthenon. Get creative and take lots of pics, you only live once, and Nashville is too photogenic not to snap up, save, and share. By now you’ve already heard about our sophisticated foodie scene, however, it’s the traditional staples that are the backbone of our cuisine. Try some authentic southern dishes to kick off your vacation. Meat and Three - When you see “Meat and Three,” the name says it all. Pick a meat, then add three sides from the daily menu. Pair with sweet tea and cornbread for a dynamite mix. Hot Fried Chicken - Featured on Anthony Bourdain's show, Nashville hot fried chicken has a reputation for being fire. Fortunately, it comes in varying levels of spice, but if you are feeling adventurous, opt for the burn. Biscuits and Gravy - Warm flaky biscuits smothered in gravy is the way to go. Sure, it can be a side dish, but if you have it as a meal, you truly are eating like a Southerner. Whether you are visiting SoBro for work or pleasure, squeeze in some quality time for a slow-paced Tennessee meal. Nashville, known as “Music City,” draws country music fans from near and far. However, did you know that Nashville was founded on Christmas Eve 1779? Read on for more fun facts about this vibrant city in the South. - James Robertson founded Nashville on Christmas Eve 1779. He was with John Donelson, and a group of frontiersmen called the Overmountain Men. It was then named after the revolutionary war hero Francis Nash. - William Walker, a Nashville native, went to Nicaragua and become president in 1856. He is the only American to become president of another country. - Elvis Presley recorded more than 200 songs in his favorite recording studio, historic RCA Studio B. - In 1941, Nashville’s WSM radio station was the first to receive a FM-broadcasting license. - President Nixon once performed “God Bless America” on the piano at the Grand Ole Opry in 1974. - Centennial Park is the only replica of the Greek Parthenon and the 42-foot-high sculpture of Athena is the largest indoor sculpture in the western hemisphere. - Aerially, the Country Music Hall of Fame is shaped like a bass clef embodying the form and essence of music. When walking the electric streets and visiting the historic institutions, remember these fun facts for a great trip. Let us romance with you with our southern charm and elegance. The J.W. Marriott is the perfect place for a luxurious and amorous getaway. Plan a trip filled with world-class culinary cuisine, quality sightseeing, and steadfast excitement. Start your day with an intimate breakfast at Stompin’ Grounds, where the menu features all-natural ingredients and locally sourced flavors. Take note of the stunning decor designed by NYC’s finest design boutique Meyer Davis. After a delicious meal, pass by local sites such as the Grand Ole Opry, The Ryman Auditorium, and the Johnny Cash Museum. Head back to the hotel for a craft cocktail or glass of wine in the Lobby Bar. Bask under the warm light while snuggling on the velvet seating. Then, elevate your connection with a bonding dip in the heated pool on the deck. Now that your muscle are warm, treat yourselves to a relaxing couple’s massage at the JW Spa. By now, you have worked up an appetite, commemorate your special holiday with a delectable dinner at Bourbon Steak from award-winning chef Michael Mina. Round out your night with a restful sleep in our luxe beds for a Valentine’s Day to remember. Get Healthy: We know it can be difficult to squeeze in a workout while visiting another city--that’s why our state-of-the art fitness center is convenient and easy. Have a heart-pounding workout in our gym or go for a dip in our heated outdoor pool. Keeping active is the first step in getting healthy and this year will be your best year yet. Explore More: Whether you're visiting for work or pleasure, JW Marriott is centrally located and surrounded by Nashville’s hottest attractions. Take a stroll to the Ryman Auditorium, or treat yourself to an afternoon of testing beers at Tennessee Brew Works. Whatever your mood, there is something to explore. 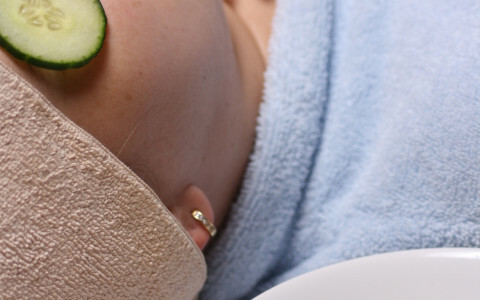 Relax: Melt under the gentle touch of our expert masseuses or book an aromatherapy facial. The Spa by JW Marriott is the ultimate place to start or end your day. Say goodbye to the problems of 2017 and hello to the promises of 2018. Right in the heart of Nashville is our relaxation oasis, Spa by JW. Whether you are visiting our hotel for business or pleasure, melt you troubles away with the healing touch of one of our skilled masseuses. Select from an extensive menu of signature massages, body scrubs, eye treatments, facials, manicures and pedicures, men’s services and more. After a day of seeing the local sights, which include The Music City Center, Ryman Auditorium, and the Tennessee Performing Arts Center, treat yourself to well-deserved peace and tranquility. According to the Mayo Clinic, a day at the spa reduces stress, alleviates anxiety, and can be a powerful tool in helping you take charge of your health and well-being. That’s enough to convince us! So book your therapeutic treatment and return home with a Nashville glow--let our Southern hospitality show! It’s not only the chicken that is hot in Nashville – these museums are sizzling with country music, history, and flare. Whether it’s your first time visiting or you’re a veteran, check out these venues to experience the glitz and glam of honky tonk and beyond. Home to the historic RCA Studio B and Hatch Show Print, this impressive museum is two-floors and houses over 2.5 million artifacts. Check their website for special exhibitions guaranteed to get your blood flowing and expand your musical history knowledge. It looks small from the outside but don’t be fooled, the inside is filled to the brim with the largest and most comprehensive collection of memorabilia dedicated to the life and career of the “Man in Black.” Enjoy interacting with the technology that will immerse you in his personal and public life. Keep your camera ready, the museum includes the costumes, stages, personal letters and photographs of this iconic singer/songwriter. There is even an opportunity to take a simulated picture with Mr. Cash himself! Good fun for the whole family and conveniently located in the heart of downtown Nashville.